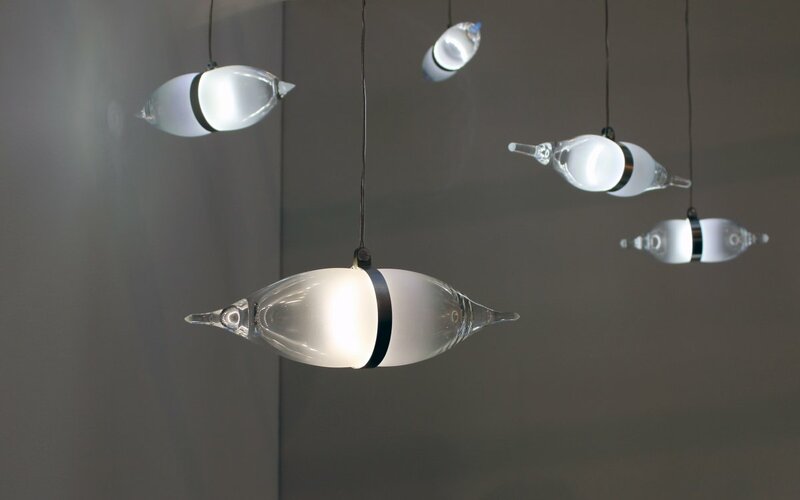 Montreal based designer Tat Chao has designed the BIPOLAR Pendant Light as part of his IN VITRO Collection. “The IN VITRO Collection is a tribute to the beauty and the eclecticism of the glassware and crystal ware industry. Each product is carefully handmade in Montreal, Canada with up-cycled items from donations or second-hand shops. IN VITRO is the rebirth of the rejected, the out of style, the damaged. 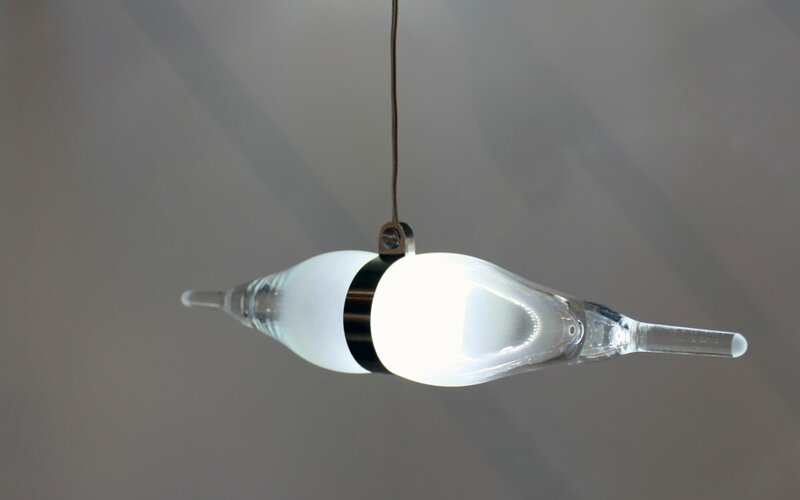 The BIPOLAR pendant light was born from broken pieces while making the candleholders from the same collection. The light expresses the desire to waist no material. 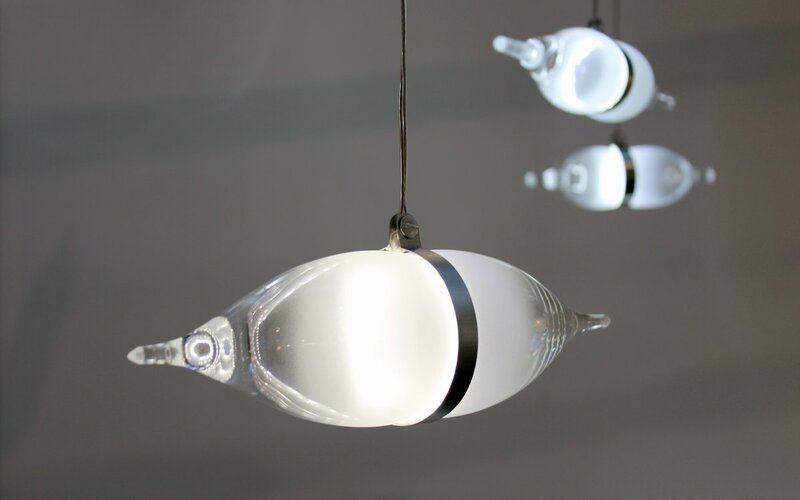 It is created from two wine glasses or champagne flutes without their base. An anodized aluminium ring wraps a strip of LED lights in the middle. It comes in diverse shapes, colors and sizes ranging from 6” to 16” long.